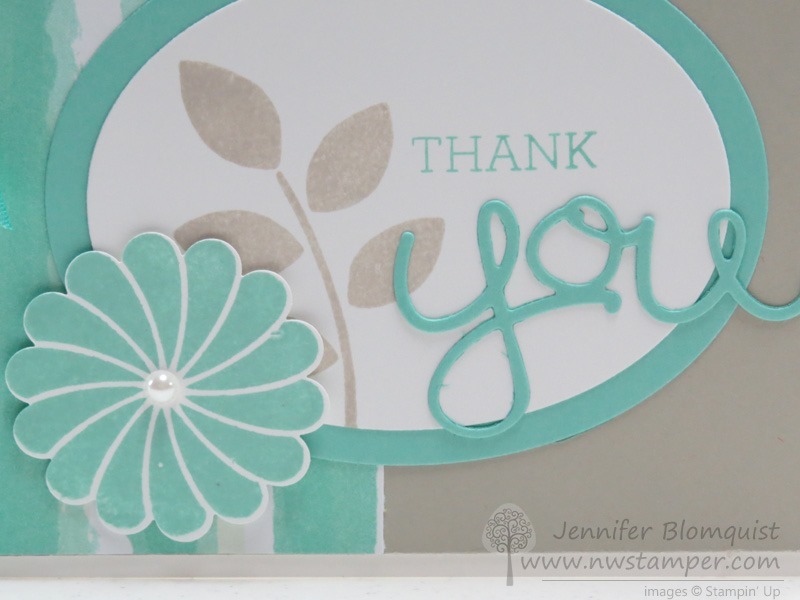 Customer Thank You Cards with my New Favorite Color Combo! 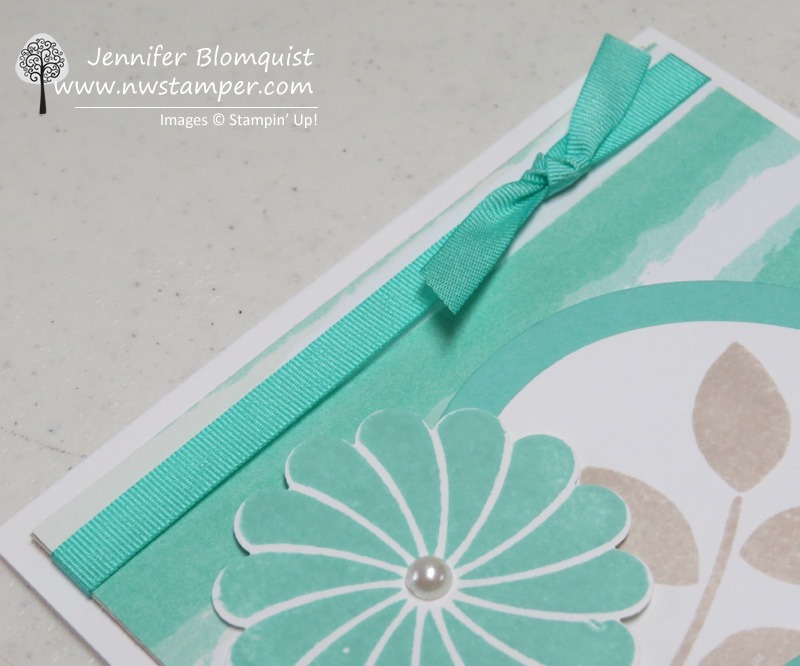 I was looking around for inspiration and came across this card by Glenda Calkins and I just LOVED the color combination and knew I had to make my own! So, here is what I am sending out to anyone who orders from me this month! 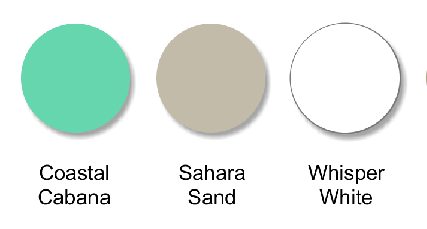 First up, I LOVE LOVE LOVE this color combination. If you haven’t tried it already, you should. Especially since we only have a couple months left with the fabulous Coastal Cabana! Use the Crazy About You bundle (save 15% off too when you get the stamp set and thinlit at the same time!) to use this same card design for almost any sentiment you want! Birthday, thank you, Mother’s Day, Easter, you name it! The fun combo of the die cut word with the stamped sentiment keeps it interesting. When cutting out your word with the thinlit die, it will come out so much more easily if you put a piece of wax paper between the thinlit die and your cardstock! Best trick ever!! The Oval Framelits give you a perfect die cut for your focal point and a nice mat around it by just going up one size in framelit. Adhere your patterned paper from the Sale-a-Bration Best Year Ever designer paper onto your Sahara Sand cardstock, and then wrap a piece of Coastal Cabana ribbon from the Sale-a-bration Best Year Ever accessory pack making sure to only glue the ends of the ribbon. When you leave the middle of the ribbon unglued, it lays more nicely and lets you take a second piece of ribbon and slide it under your first ribbon and tie a knot. So, you get a perfect faux bow everytime. Don’t forget, this designer paper and ribbon are while supplies last and only available until the 31st with your $50 order! So, don’t miss out! 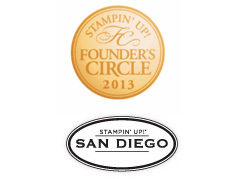 Curious about the Starter Kit or have questions about becoming a Stampin’ Up Demonstrator? Join me for a Live Chat this Saturday! Can I join for the discount? Can I really earn money with Stampin’ Up? What comes with the starter kit? Do you have recommendations for what I pick in my starter kit? 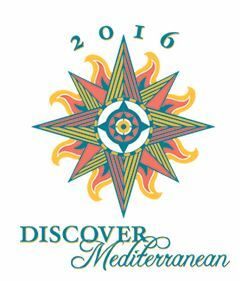 What are the minimums required for staying active as a Stampin’ Up demonstrator? Do I have to actually sell anything? Why would I want to sign up? What do I get for signing up before Sale-a-Bration is over? So I thought I would put together a Live Chat as a chance to not only answer these questions but also give multiple folks a venue for asking YOUR questions! 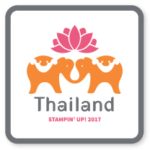 So if you have been curious about what it means to be a Stampin’ Up demonstrator, register and join me on Saturday morning at 10am PST. If you can’t make it, register anyway and I’ll make sure to send you the recording afterwards.